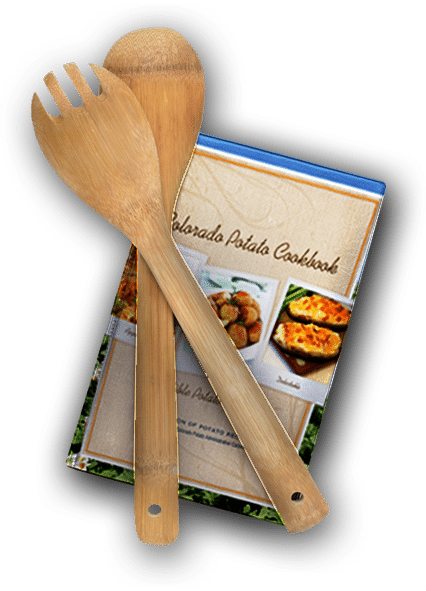 Colorado Potato> Featured Shipper / Grower> Rockey Farms, LLC. Sheldon Rockey and his brother Brendon are the third generation of Rockey’s to run Rockey Farms. Their grandfather bought the first land in 1938 and farmed until the 1970’s when their father and uncle took over. Now they’ve taken the operation to the next level incorporating innovative sustainable growing practices and new varieties. They farm seed and specialty potato varieties on 500 acres plus peas, buckwheat, radishes and about a dozen other crops. These other crops help break down the hard soil and encourage the right bugs to do their job. They call their crop rotation process “green manure” as these crops feed the soil and make it better for potato growing. In January 2015, Sheldon and Brendon Rockey were awarded the prestigious Environmental Stewardship Award by the National Potato Council in Orlando, Florida. The award, which is given in partnership between the NPC and the Environmental Protection Agency honors farms that demonstrate the highest level of commitment to land stewardship. Rockey Farms was recognized for their success in reducing the use of pesticides and improving irrigation efficiency on the farm without compromising potato yield or quality. All this has been achieved through innovative planting of cover crops that turn the soil from “stone to sponge”. To learn more about the Rockey Farms “green manure” approach, watch Brendon Rockey’s Soil Heath Tour. In 2012, Sheldon teamed up with White Mountain Farms to create White Rock Specialties, a packing and shipping operation out of Mosca, Colorado. The operation ships both conventional and organic products including all varieties of fingerlings plus creamers, yellow, red and purple potatoes. It is GAP and GHP compliant and organic certified through the Colorado State Department of Agriculture. This partnership and the development of the new packing facility in the old Sangre do Christo High School building has been a major expansion for Rockey Farms and a great source of pride for Sheldon. For Sheldon and Brendon Rockey it’s about more than growing potatoes. They are changing the way potatoes are grown and shipped with new varieties and new farming processes. They are ensuring that the San Luis Valley will ship the nation’s best potatoes for years to come. And they are making an impact by getting the word out on water-saving farming practices and more. Sheldon is a valued CPAC board member and also on the San Luis Valley Irrigation District and Sub-district #1 boards. More importantly, he’s also husband to Nicole and father to Ashlyn and Ellaree with whom he loves to travel, camp and hike in the mountains.